Black holes are not just holes floating through space. Black holes are an area with massive amounts of matter squished in tiny areas. Because of all that matter stuck in a tiny area, the gravity that it releases is so strong not even light can escape. And since it even consumes light, that means that you can’t even see them. Scientist observe black holes by the effect on the surrounding area. Black holes were predicted by Albert Einstein’s theory of relativity. According to NASA’s website, he predicted, “which showed that when a massive star dies, it leaves behind a small, dense remnant core. If the core’s mass is more than about three times the mass of the Sun, the equations showed, the force of gravity overwhelms all other forces and produces a black hole.” The first black hole was discovered in 1971. Black holes have many weird properties to them that make them very unique. As was stated earlier, they are invisible, and they also take in all things around and tear them down to their subatomic level. According to a post on NASA’s Universe Forum, black holes also seem to slow down time around them. They are also predicted to release radiation; this radiation is known as Hawking radiation named after Stephen Hawking. 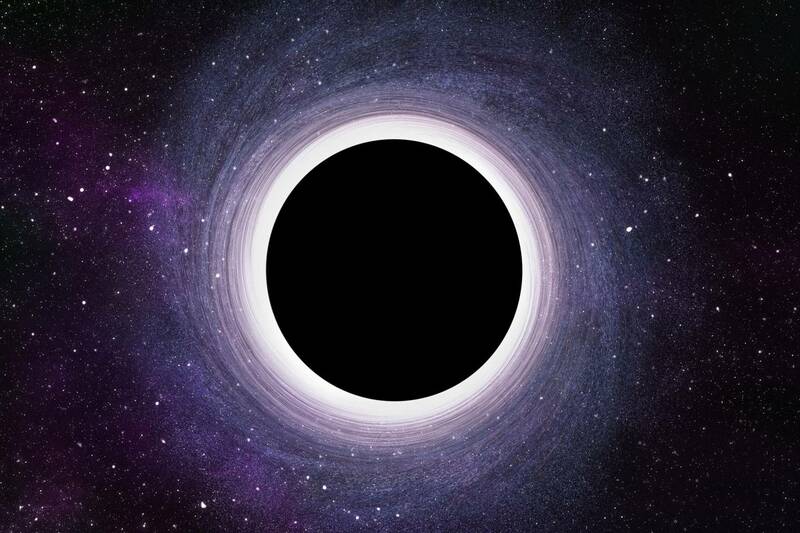 Black holes leave this radiation theoretically until they completely evaporate. Black holes are created when a large star dies. A star dies when it runs out of fuel for nuclear burning, and because of this the star collapses on itself causing a supernova. After we are left with either a neutron star or a black hole. In order to get a black hole the core needs to be at least 3 times the mass of our sun, thus meaning if our sun went through this process it still wouldn’t make a black hole. There are 4 main types of black holes which are: supermassive black holes, intermediate mass black hole, stellar black hole, and a micro black hole. The difference between all of these is their solar masses which can range from 5 solar masses all the way to an immeasurable amounts of mass. There is one other type of black hole, which is the most common one, which is characterized by its rotation, which is known as a Kerr black hole.